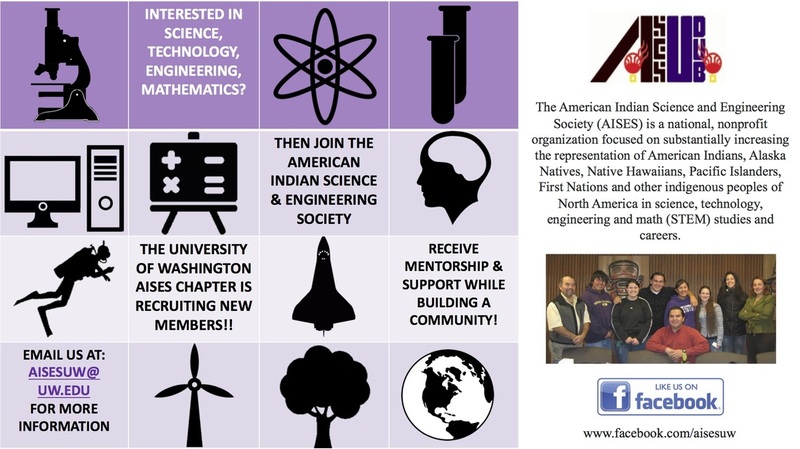 "The American Indian Science and Engineering Society (AISES) is a national, nonprofit organization focused on substantially increasing the representation of American Indians, Alaska Natives, Native Hawaiians, Pacific Islanders, First Nations and other indigenous peoples of North America in science, technology, engineering and math (STEM) studies and careers. History: Founded in 1977, with a rapidly expanding membership of more than 4,000 individual members, the American Indian Science and Engineering Society (AISES) sustains 189 chartered college and university chapters, 15 professional chapters, and 158 affiliated K-12 schools supporting American Indian students in the critically needed disciplines of Science, Technology, Engineering and Math (STEM). AISES has awarded over $10.3 million in academic scholarships to American Indian STEM students. Through scholarships and internships, workforce development and career resources, national and regional conferences, science fairs, leadership development and other STEM focused programming, AISES is the leader in STEM opportunity for American Indians. " WE ARE RECRUITING NEW MEMBERS FOR 2016-17!!! NATIONAL CONFERENCE IS AROUND THE CORNER....NOVEMBER 10-12, 2016! If you wish to gain contact with AISES-UW or want to be added to the AISES-UW list serve to receive updates about opportunities, please email aisesuw@uw.edu or fill out the form below. The AISES-UW office is located at the University of Washington in Loew hall room 013. TBA for office hours where you are free to come in and talk to an AISES-UW officer about any questions or concerns you might have.